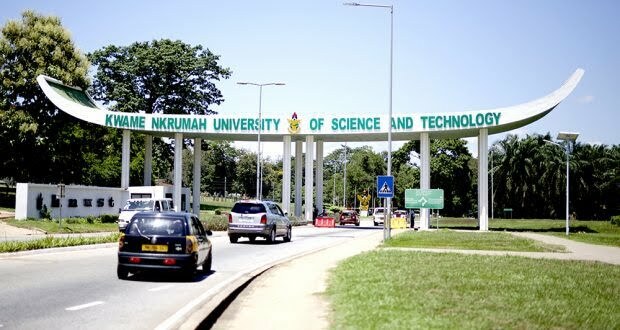 The Kwame Nkrumah University of Science and Technology (KNUST) chapter of the National Union of Ghana Students (NUGS) has accused the SRC president, Kelvin Sah, of taking unilateral decisions without consulting the entire student leadership. 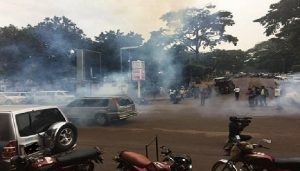 According to the NUGS president, Yaw Boampong Adu Brempong, the decision to embark on a peaceful demonstration which later turned chaotic, was a collective decision of the entire student leadership, however, the SRC president has refused to engage the leadership in finding a lasting solution to the challenge. 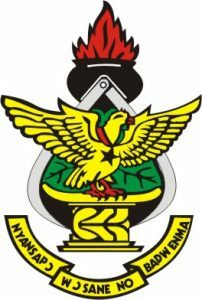 The SRC president, on Friday, 26 October 2018, wrote to the Ministry of Education requesting it to reconsider the dissolution of the old council to prevent stakeholders of the university including the KNUST chapter of the University Teachers Association of Ghana (UTAG) and Teachers and Educational workers (TEWU) from embarking on strike. 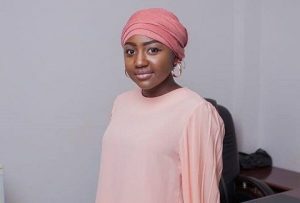 “…We the students appeal to your high office to consider the decision to dissolve the Governing Council and replacing it with the Interim Committee and maintain the existing structures”. Mr Sah explained that the student leadership has agreed to a solution with the management of the university over the recent disturbances, hence the dissolution of the Council was needless. “The management of the university led by the Vice-Chancellor wholeheartedly gave us a listening ear and engaged us on our concerns and grievances. We had reached an amicable conclusion that was satisfactory to both students and management. Almost all our concerns were duly addressed and those we could not agree on, we had scheduled a date to continue negotiations, particularly the matter regarding the hall conversion,” the letter added. The letter further noted that: “It was almost just after we agreed on all these that we were informed of the formation of the Interim Committee, which is supposed to solve the issue that had already been settled”. However, NUGS KNUST said the SRC president is no longer representing the students’ interest. 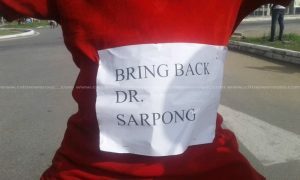 Speaking to Class News, Yaw Boampong said he suspects the SRC president may have been compromised. He said: “We have sighted a letter written and signed by the SRC president to the Ministry of Education calling for a reconsideration of the Interim Management Council apparently because he feels he has had some engagements with the Council that was dissolved and steps are being taken for our grievances to be resolved, but I think it is a unilateral decision of the SRC, and that is not a fair representation of all student leaders as we met last week Sunday to take a decision to have a peaceful march.